The formal uniform of the Fishies and Oceans Enforcement Officers (generally salt water ops and a federal vice provincial force). 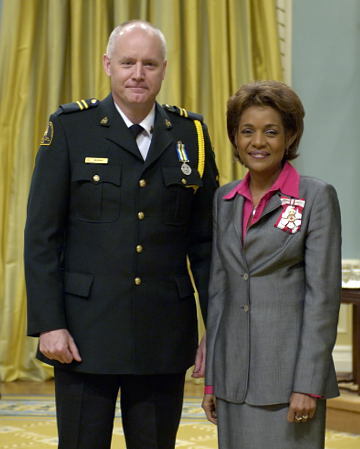 The lady is the Governor General, Her Excellency Michelle Jean. Can't help but think the rank slip-ons are upside down!